While it is understood that, by and large, diseases don’t differentiate between hosts – that is, one warm body is about the same as another to a virus or bacterium – there are certain illnesses that seem to be more prevalent within specific groups. For example: Caucasians show higher instances of Crohn’s disease, cystic fibrosis, osteoporosis, skin cancer, and celiac disease. ; while African Americans show higher instances of type 2 diabetes, sickle cell anemia, systemic lupus erythematosus (SLE), heart disease, and hypertension. Disease prevalence isn’t the only issue. Certain ethnic groups also have vastly different survival rates when it comes to certain diseases. For example, African Americans tend to have lower cancer survival rates than other segments of the population; and women have more heart attack fatalities than men. While we can understand some of the genetic factors associated with disease prevalence, what are the factors that contribute to the difference of survival rates? 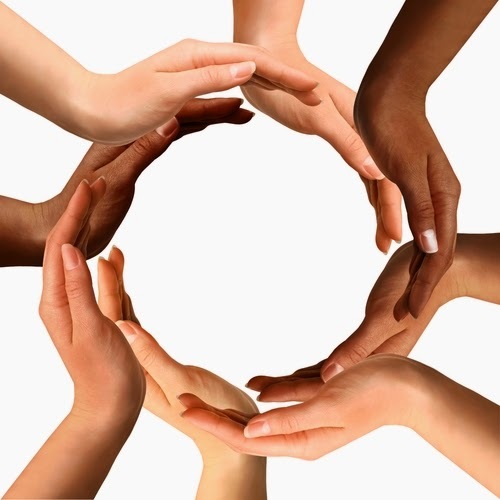 When discussing the health differences between certain groups – be they ethnic, racial, or gender-based – it’s impossible to do so without also discussing ethnicity, race and gender. All human being bodies are basically the same and should respond similarly when confronted with disease. That is, a body with diabetes should have the same response to the disease, be it male, female, African American, Latino, Caucasian or anyone else. However, that does not seem to be the case; and that may have more to do with several external factors. Even as the Affordable Care Act (ACA) is making it possible for more people to have access to care, people are still falling through the gaps. In states that refuse to expand Medicaid, thousands of poor are unable afford coverage. Additionally, individuals who don’t meet the economic qualifications for Medicaid, or for a subsidized plan, might still be unable to afford an individual ACA-compliant plan. While insurance companies like USHealth Group Private are working hard to make their services accessible and reach those who have been overlooked, there are still people without healthcare coverage. Lack of healthcare coverage means people are less likely to seek medical care when they initially become sick, may postpone treatment when diagnosed, or may only be able to do partial treatments – all of which can lead to higher mortality rates. In a 2003 report, called Unequal Treatment, the Institute of Medicine concluded that some healthcare professionals hold unrecognized biases against members of certain social groups, such as the obese and ethnic minorities; and that these unrecognized biases often negatively affect the quality of care given to these groups. One example of an unrecognized bias affecting patient morality is the case of Lisa Smirl. Ms. Smirl was a 37-year-old college professor who began experiencing lung symptoms in the Fall of 2010. Over the course of a year she saw several physicians who diagnosed her with several un-related illnesses including asthma, migraines, and depression. In November of 2011, after taking 10 times her prescribed asthma medication did not resolve her symptoms, she was finally diagnosed with Stage IV adenocarcinoma with extensive metastasis to the bones, brain, and liver. She died in February 2013. Since that 2003 report was released there have been several other studies on unconscious bias and health disparities with an eye toward fostering awareness of these biases, and finding solutions to better care. Doctors and the insurance industry are not the only factors when it comes to discrepancies in patient care. The patient’s own cultural framework can also play a part. For example, in some cultures certain illnesses may carry a stigma that prevents individuals from seeking care. Patients who are ethnically, culturally, or racially disenfranchised may also feel a large measure of distrust toward the medical establishment, especially if there is a history medical mistreatment. The combined factors of lack of access, health provider bias, and cultural mistrust of the medical establishment causes people to neglect their health, which results delayed diagnoses and reduced standards of care – all of which lead to higher mortality rates for certain social groups. Scorching summer weather and the call of the beach or the pool has many women considering their options for hair removal. Generally speaking, that means one of two things: waxing, which is a somewhat temporary fix, or laser removal, which has much longer-lasting results. Since waxing can be done at home, women are sometimes inclined to go this route for the sake of convenience. Others prefer the longer-term solution. Most women who opt for permanent hair removal methods have made that decision based on several key factors. While the bikini area sparks hair removal plans in the summer, many women have cosmetic needs that last year-round. A few rounds of temporary removal are no big deal for swimsuit season, but when women are working to shape eyebrows or keep clear skin around the lips or on the forearms, the weather is irrelevant. They want those areas hair-free year-round. As a result, they decide that a single trip to their local center can take care of summer along with the other three seasons, greatly reducing the inconvenience of maintaining their appearance year-round. Social media is full of funny stories about home waxing mishaps, and there’s a good reason. It happens a lot. Attempting to do something like this to yourself with no experience and mediocre equipment, all performed with the rudimentary instructions that came folded up in the box, is a recipe for laughs at best and pain at worst. The temptation to go this route is driven by either money or convenience. Women feel like a spontaneous weekend trip to the coast is more easily managed with a home kit, but they later find that the subsequent day at the pool, afternoon at the spa, or big date with the husband are sending them to the store time and again to buy another kit, resulting in another comedy of errors in the bathroom. Tired of all this hassle, many women just make an appointment and get something done once and for all. Other women harbor concerns about the safety of laser systems, thinking there could be permanent damage to their skin or their eyes if they seek out a laser treatment. While the image of a goggled technician zapping you with something that looks like a prop from “Star Wars” can be a little scary, the fact is that the devices are FDA-regulated and approved. So why is the worker taking such pains to protect herself? A good technician is closely watching each point of treatment with the laser. A day’s work doing that can be very bad for their eyes because they are looking directly at the affected area. The client, meanwhile, is comfortably facing away, and even if she’s watching, it’s only for a few minutes. Any work done on the face will involve eye protection for the client. The point of reference from home is the awkward maneuvering of your body in the tub, on a stool, or wherever you choose to do it yourself. The twisting and contorting you do while trying to steadily handle the wax is a serious danger for burns and falls, two good ways to ruin your vacation. What’s Your Threshold For Pain? Again, laser removal generates some degree of fear among would-be recipients, because we can’t seem to shake that word “laser”. But the process doesn’t involve futuristic weaponry trained on your body, and it won’t blow a smoldering hole through you. Keep in mind that you probably know a dozen people who have undergone laser eye surgery. Eye surgery! Lasers, for all the sci-fi fantasy we’ve seen or read in our lifetimes, are not painful, they aren’t destructive, and they are in the hands of skilled people. 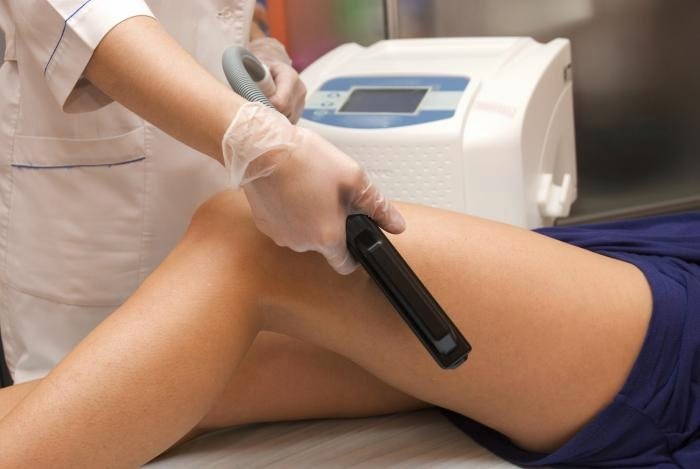 Most women who give laser treatment a chance now measure that as a polar opposite to the results they saw from their escapades with a popsicle stick, a pot of hot wax, and a foot up on the vanity. Ultimately, that’s what women are searching for. They are willing to pay good money for good results. Shaving, home wax, and all the other alternatives ultimately don’t produce the great look, lasting results, and ease of permanent removal with a laser system. That conclusion is what’s driving the proliferation of such salons, making the procedure ever more affordable and convenient for consumers in almost any location.